A beautiful place with spacious and warm appearing rooms. Patient Service Centre Dr Lal Path Labs Pvt Ltd.
Hotel Dream is an attractive hotel with a simple and sober decor. 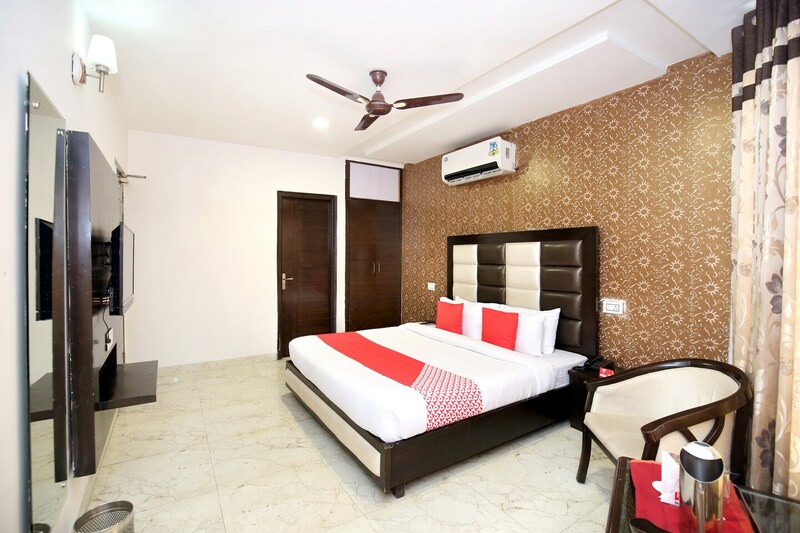 The bedrooms at the hotel are classically decorated with light colored walls and dark wood furnishings, lending the rooms with a warm and bright ambience. The statement wall is done in regal wallpaper and the cushioned headboards make for a comfortable stay for the guests. A seating area, a conference room, a dining area and a banquet hall are available at the hotel for the guests to use. The hotel also provides its guests with free Wi-Fi and power backup so that they can remain connected with the rest of the world. Other amenities offered by the hotel are a geyser, laundry and parking facility and a card payment option.